Chinese workers bought 467,639 new Light Commercial Vehicles in November, up 21% year-on-year. The total over 11 months 2010 is 4,829,785 units, up 25% on 2009. 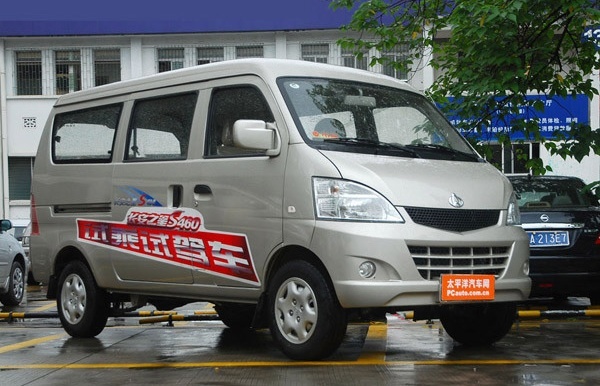 Big movement this month: the ChangAn Minibus takes the pole position with 54,795 sales, up an impressive 52% over Nov 09, ahead of the Wuling Sunshine at 46,682 sales (-33%) which however stays #1 YTD at 708,941 units sold (+12%). The ChangAn is #2 at 478,425 (+24%). This is to be compared with the 37,616 VW Golf sold in 27 European countries in November (458,258 over 11 months) and the 38,541 Ford F Series sold in the USA (473,461 in 11 months).